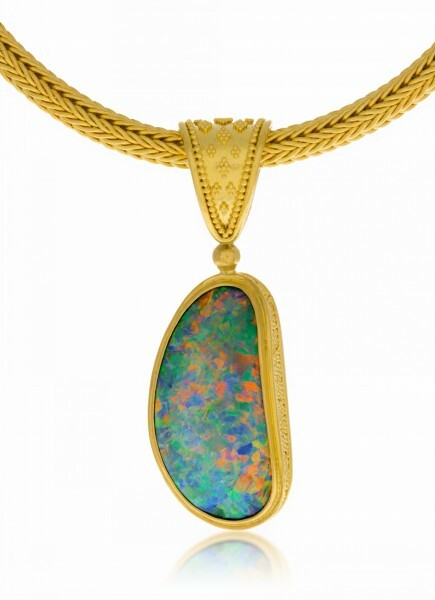 22K gold with opal. This piece may be reproduced. As no two opals are the same, colors, patterns, and exact sizes vary. Please allow time to source stones.